Price 22,000 THB or 710 USD. 4 days ride. Note : For Malaysian Riders have Air Asia direct flight from Malaysia to Huahin Airport everyday. Day 1 : Huahin to Prachup Khiri Khan 122 km. 8 am. Start ride from My Way Music Hotel to Pranburi Fishermen community cycling along long beach. Ride on back road to Sam Roi Yod National Park. Heading to Prachup Khiri Khan Province. 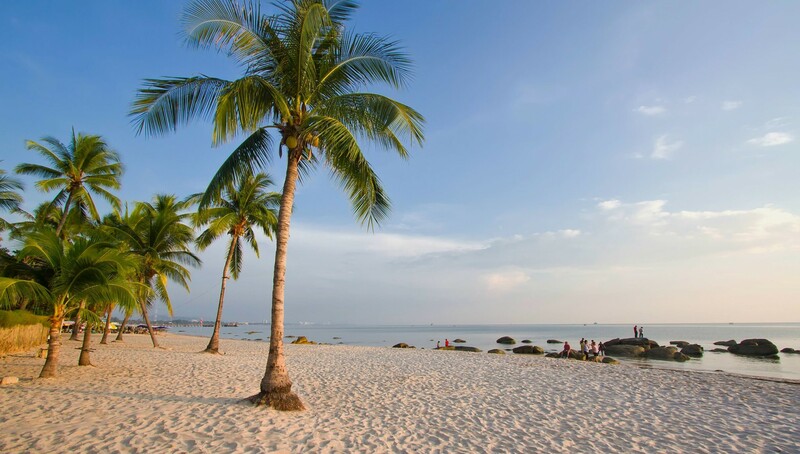 Stay overnight at Khong Wan Beach. Lunch : Boh Nok Beach. Hotel : @ T Boutique Hotel. 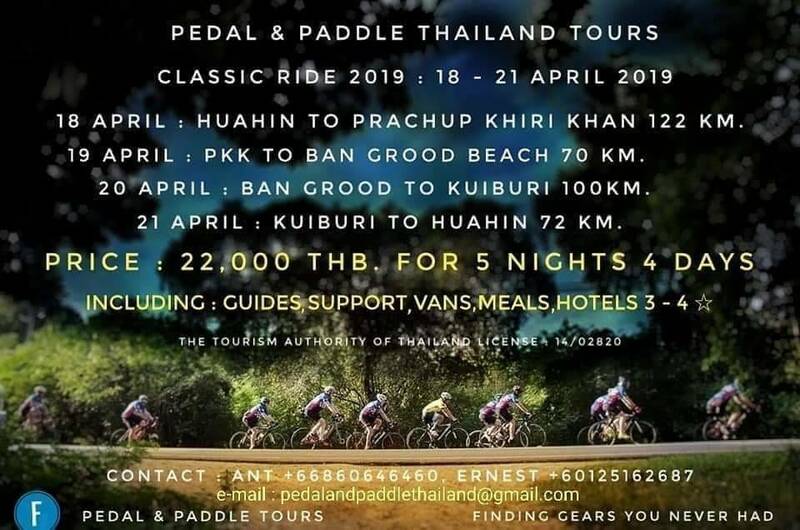 Day 2 : Prachup Khiri Khan to Ban Krood Beach 70 km. 8 am. Start ride from Hotel go along coconut plantation on quiet road. Passing quiet beach. Visiting Golden Buddha Statue and light lunch at Ban Krood Beach. Hotel : Ban Grood Arcadia resort & spa. Day 3 : Ban Krood to Kuiburi Beach 100 km. 8 am. Start ride from Resort cycling on back road close to Myanmar border. Ride back to Sam Roi Yod National Park. Turning to Kuiburi beach. Hotel : Dhevan Dara resort & spa. Day 4 : Kuiburi Beach to Huahin 72 km. 8 am. Start ride from Resort going back to Huahin on different route. Hotel : My Way Music Hotel. Dinner : Tamarind Food & Night Market.